I spy a clever custom flask any groomsman would love to get as a gift at the bachelor party. 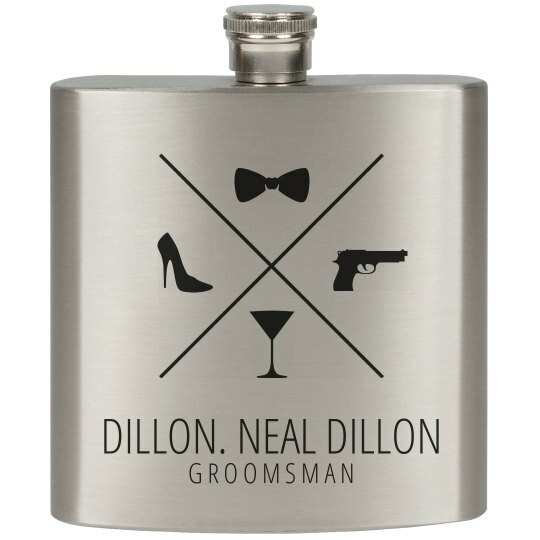 Personalize custom flasks for the groomsmen, including the best man and of course the groom. And remember, shaken, not stirred.